Maple Mint Mojitos for Memorial Day! Muddle 2 sprigs of mint per person at the bottom of a cocktail shaker. Add the run, lime juice and maple syrup, top with ice and shake really well. Add ice and lime slices to the glass and pour in the cocktail through the strainer. 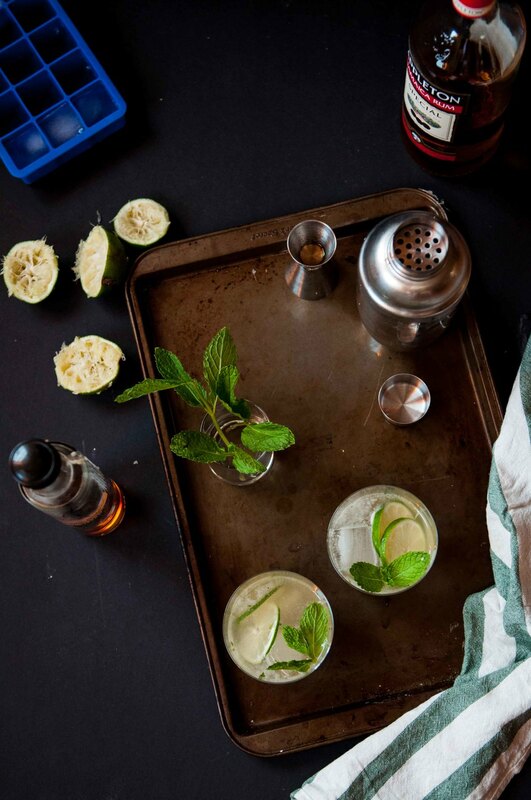 Top with club soda and garnish with fresh mint and serve. MORE WAYS TO BE MERRY!